We have heard it all over the news, big corporation hacked, user data exposed, banks held ransom, celebrity tweets something offensive claims account was hacked, will it ever end? Well, we all know; the answer is NO! After all there have been locks and to open locks, there were & are pickers to break in. Unfortunately, organizations and individual users’ alike computers are no different. So, who are these digital lock pickers and what makes them tick. You might think of 80s retro teens with glasses, staring at screens, flooded with code but the reality is far less dramatic. At the beginning of the digital age hackers were enthusiastic about probing what was possible with the emerging technologies. But, sadly that era of playful innocence ended as the computers & networks became more popular. And today, we classify hackers with the “HATS” that we assign based on their intentions. White hats are mainly security researchers and penetration testers. People whose job it is to counter the other guys. Their actions are often authorized by the organizations that pay them for their services. Some white hats have discovered massive security holes that could have affected a lot of people if they weren’t found. White hats such as, Dan Kaminsky who discovered the DNS hack, which could have crippled huge Internet users or like Rootkit that Sony was intentionally putting on to its music CDs. Grey hats as the name suggests, just makes the water muddier since, they generally don’t have malicious intentions but they act without permission from their targets. The way that they use to access data, straight away comes to their personal moral code. Grey hat incidents can take many forms from the hackers who sold the iPhone crack to some corporation, to brushing software company that developed ebooks software. Although this was legal in Russia, but it wasn’t in the US, leading to break a law. Black hats meanwhile are usually the ones making splashy headlines. As they have no problem fooling the law to add profit on someone else’s expense or even to just cause damage to all websites service business or even in an individual. When passwords & credit cards are stolen and put up for sale online, that is a black hats handy work. Hackers that steal money from target customers as black hats. So, government spy agencies like the NSA and some black hats have even had their talent recognized by major IT and cyber security firms who have ended up offering them jobs. Well, these are the kids of hacking world, who use some random scripts & automated tools to hack in because they cannot write one of their own to break in to the systems. They don’t even care about learning, all they need is attention. Script kiddies on a maximum can only perform attacks like DDoS. That’s it! Notorious kids trying to get all the attention, end up getting a beating, no wonder! There are social activists who hack websites to deliver a social, political or religious agenda called as Hacktivists. These people are basically online activists. They think that by doing this, they could transform people. Hacktivists hack government websites in order to spread something notorious or spread inappropriate information. Think of themselves as the public leaders, who end up in jail at last. Most of us think that hackers are the bad guys and are negative persons in the Internet world. Just like the good cop and bad cop there are good hackers and bad hackers in the hacking world. All depends on the personality, their agenda, practices, and methods. Hope this helped you understand the type of hackers out there in the world. 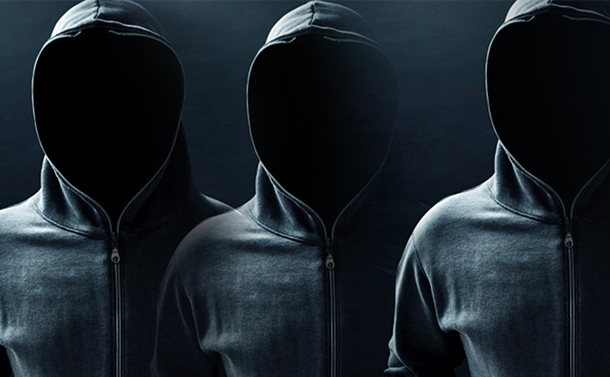 Some faceless actors targeting your personal information that’s all we can say.